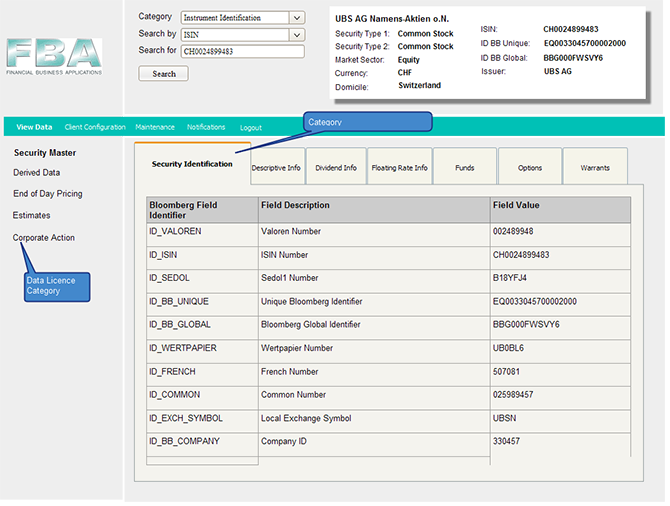 The Bloomberg Data Suite provides comprehensive integration of all the Bloomberg’s data license products. 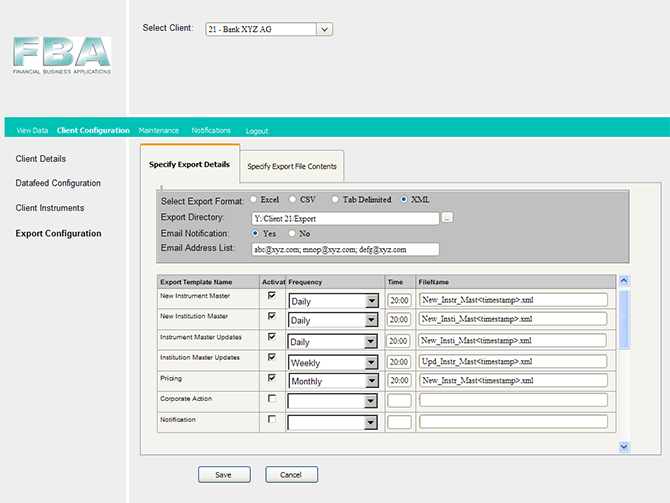 It allows the users to integrate the Bloomberg data feed, customize the attributes across various asset classes needed for their day to day operations, view the data for instruments of interest and export them into their distribution/end applications. 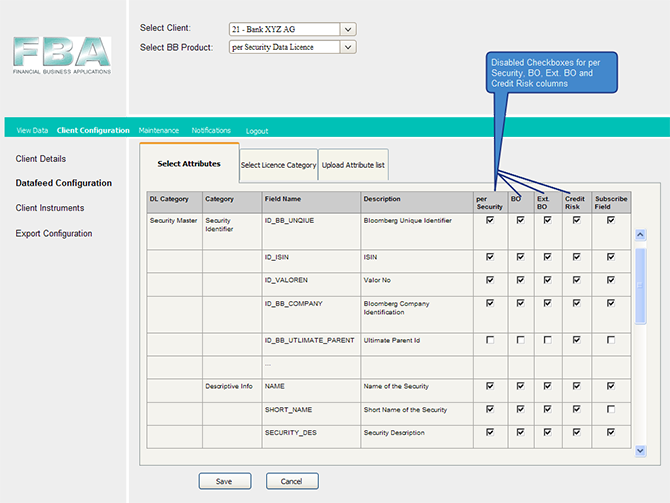 When coupled with FBA’s CFIDB, it provides a simple application to not just view the Bloomberg data but also to control, enhance, derive additional attributes before being deployed to end applications or users.